Although there are only a few weeks left in the year, it’s not too late to implement some planning moves to reduce this year’s taxes. Beginning in 2018, many taxpayers who used to itemize in prior years will no longer do so because of the substantial increase in the standard deduction. Example: In 2017, Fred and Wilma have charitable contributions of $5,000, mortgage interest of $12,000, property and property taxes of $6,000 for total itemized deductions of $23,000. Since their total itemized deductions of $23,000 exceed their $12,700 standard deduction, they will itemize. In 2018, the standard deduction for a married couple is increased to $24,000. If they have the same itemized deductions in 2018, they will claim the standard deduction of $24,000 since this exceeds their itemized deductions of $23,000. In 2018, Fred and Wilma double their normal charitable contribution of $5,000 and make a $10,000 charitable contribution. They will not make a charitable contribution in 2019 (they are bunching two years of charitable donations in 2018). Their itemized deductions are: $10,000 of charity, $12,000 of mortgage interest, and $6,000 of property taxes for total itemized deductions of $28,000. Since this exceeds the $24,000 standard deduction, they will itemize. In 2019, they will take the $24,000 standard deduction. The total deductions over the two years is $52,000 ($28,000 itemized deduction in 2018 plus $24,000 standard deduction in 2019). If they continued to make $5,000 charitable contributions per year, then their itemized deductions would always be less than their standard deduction of $24,000 per year. The benefit of this strategy is that they deduct $52,000 over two years with the bunching strategy rather than claiming the standard deduction of $24,000 per year (i.e., deducting $48,000 over two years). The additional $4,000 deducted over two years is roughly a $1,000 reduction in tax. They will once again bunch their charitable donations in 2020 and skip the donation in 2021. Taxpayers who have reached age 70½ who own IRAs and are thinking of making a charitable gift should consider making the donation through a qualified charitable IRA distribution—this is a DIRECT transfer from the IRA trustee to the charity. Such a transfer (not to exceed $100,000 per year) will neither be included in taxable income nor allowed as a deduction. To qualify, the distribution must be a direct transfer from the IRA trustee to the charity. If a taxpayer first takes an IRA distribution and then contributes it to a charity, the donation will not qualify as a qualified charitable distribution. It is also important that the taxpayer NOT receive anything in exchange for the contribution from the charity as this could also disqualify qualified charitable distribution treatment. If you have a high deductible health insurance policy, you may qualify for deductible contributions to a Health Savings Account. 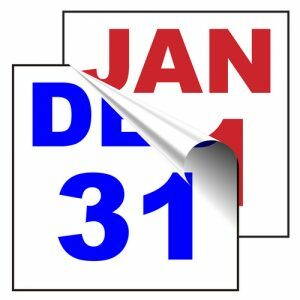 A deductible above-the-line deduction of $3,450 for individual coverage and $6,900 for family coverage can be made as late as the original due date (generally April 15) of the tax year. For example, you can deduct an HSA contribution on April 15, 2019 on your 2018 tax return. If you are age 55 or above, you can contribute an additional $1,000 per year. If you have paper losses on stocks it may make sense to sell the investments before year end to generate a deductible capital loss. The same investment can then be re-purchased at least 31 days later. 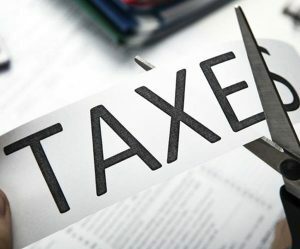 This way, the taxpayer can realize her investment loss for tax purposes but still retain the same, or approximately the same, investment position. It is critical to wait at least 31 days before re-purchasing the stock to avoid the wash sale rules. These rules disallow losses on investments if the same or substantially similar investment is purchased within 30 days of the loss sale. Capital losses reduce capital gains and can offset up to $3,000 of ordinary income per year. Excess capital losses are carried forward to future tax years. This communication is not intended to be tax advice and should not be treated as such. You should contact your tax professional to discuss your specific situation. Curcuru & Associates, CPA PLC, offers a variety of tax planning services to both businesses and individuals. Proactive tax planning now can save you money and make tax time a breeze. Call us at 248-538-5331 and request a free initial consultation to learn more. College costs continue to grow rapidly each year. Section 529 plans allow taxpayers to save for college and receive tax benefits. There are two types of Section 529 plans. This program allows taxpayers to lock in today’s tuition rates and make lump-sum or monthly payments so when the account beneficiary is ready for college, a decent portion of the costs are already paid. The prepaid tuition program locks in current tuition rates so when the beneficiary is ready for college, she won’t be subject to the increased tuition rates applicable when she enters college. Basically, the rate of return on the prepaid tuiti on program is equal to the inflation rate of tuition. This program is a tax-advantaged savings account that is used to pay for college expenses. Taxpayers contribute to this account, and the earnings can be withdrawn tax-free if they are used for qualifying education expenses. 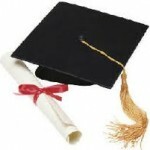 There is no guarantee that the amount in the savings account will fully fund educational expenses. Amounts contributed to Section 529 plans are NOT deductible at the federal level. The tax advantage lies in the fact that the earnings are not taxed if they are used for qualifying educational expenses. 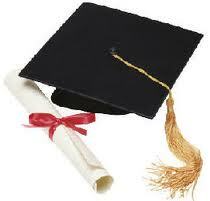 Qualifying educational expenses include tuition, fees, supplies and equipment, and room and board. If earnings are withdrawn and not used for educational purposes, the earnings are subject to income tax and a 10% penalty. Generally, amounts can be rolled over from one qualified tuition program to another for the benefit of the same beneficiary, or another beneficiary who is a member of the same family, without tax consequences. Contributions to Section 529 plans are considered gifts which are subject to gift tax. The annual gift tax exclusion for 2018 is $15,000. Taxpayers can elect to treat contributions to Section 529 plans as if they were made evenly over 5 years. Taxpayers can therefore contribute up to 5 times the annual gift tax exclusion amount of $15,000 (which is $75,000), elect to treat the gift as occurring evenly over 5 years, and not be subject to gift tax. Example: Joan contributes $60,000 to her child’s Section 529 plan. She can elect to treat the gift as occurring $15,000 per year for five years. Since the annual gift each year is under $15,000, the gift is not subject to gift tax. Married couples can contribute $30,000 per year without incurring gift tax through gift splitting. They can contribute $150,000 per beneficiary and elect to treat the gift as being made $30,000 per year for five years. Contributions to Section 529 plans remove the assets from the contributor’s estate for estate tax purposes. Section 529 plans are unique in that they reduce the contributor’s taxable estate even though the contributor still has control of the Section 529 account. A danger exists when 5 year averaging is elected and the contributor dies before the 5 years expires. Here, any contributions treated as gifts after the taxpayer dies will be brought back into the contributor’s estate. However, under the Tax Cuts & Jobs Act passed last year, the unified gift and estate exclusion amount is roughly $11 million ($22 million for a married couple electing portability). The drastic increase in the gift and estate tax exclusion amount virtually eliminates gift and estate taxes for the vast majority of people. The State of Michigan treats prepaid tuition programs and educational savings accounts differently. Michigan allows a state income tax deduction for the total amount paid each year for prepaid tuition programs. There is no limit to the deduction. However, the gift tax consequences may limit how much is contributed each year. Earnings are tax free to the extent they are used for qualified education expenses. Michigan allows a deduction of $5,000 ($10,000 for married filing jointly) per year for the amount contributed to educational savings accounts. The maximum account balance of a single beneficiary is $500,000. Earnings are tax free to the extent they are used for qualified education expenses. The Protecting Americans from Tax Hikes Act of 2015 addressed situations where a beneficiary receives a distribution from a Section 529 plan, uses the distribution to pay for qualified education expenses, then receives a refund of those expenses (e.g., a beneficiary drops a class mid-semester and receives a tuition refund). Prior to the law change, the beneficiary would have to pay tax on the earnings portion of the Section 529 plan distribution that was refunded. Under the law changes in 2015, the portion of such distribution refunded to a student is not subject to income tax to the extent the refund is recontributed to that student’s Section 529 plan within 60 days of the receipt of the refund. An ABLE (Achieving a Better Life Experience) account allows contributions to be made for a beneficiary to cover expenses related to living with a disability. The contributions are not tax deductible, but distributions (including earnings) can be withdrawn tax free to cover expenses such as: education, assistive technology, hiring personal care attendants, accessible housing, healthcare costs, transportation, and much more. Under the Tax Cuts & Jobs Act of 2017, a distribution from a Section 529 plan is not subject to tax if it is transferred to an ABLE account within 60 days of distribution. Tax-free rollover treatment is available between 2018 and 2025. The rollover distribution is limited to the annual gift tax exclusion ($15,000 for 2018). Qualified higher education expenses have been expanded to include the beneficiary’s tuition costs at an elementary or secondary public, private, or religious school up to $10,000 per year. sign up for a FREE tax analysis. 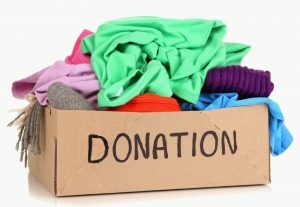 The tax deduction available for making a charitable donation of property may be no more than the fair market value of the property on the date of the gift. Fair market value is the price that a willing buyer and seller would agree to when neither is required to act and both have reasonable knowledge of the relevant facts. Cost or selling price can be an accurate measure of fair market value when the transaction and the donation dates are close and there has been no change that would affect the item’s value. Sales of comparable properties may be useful for determining value where the properties sold and the property donated are similar and the sales occurred reasonably close in time to the date of the donation. Replacement cost may be a good indicator of value in some situations, provided that depreciation is subtracted from the cost to reflect the property’s physical condition and obsolescence. Expert opinion is relevant to the extent the expert has the appropriate education and experience and has thoroughly analyzed the transaction. Who Qualifies as an Appraiser? The qualified appraisal must be signed and dated and can be made no earlier than 60 days before the valued property is donated. To learn more about tax rules and regulations for donations, give us a call today. Our knowledgeable and trained staff is here to help. Everyone makes mistakes, but making a mistake on your income-tax return can cost you. It could delay your refund, boost your tax bill, require an amended return or even trigger an audit. Before you submit your return electronically or put it in the mail, double-check to make sure you haven’t made any errors. Many tax-return mistakes are simple ones. Ensure that you’ve entered the correct name, address and Social Security number for every person listed on your return. Another frequent error is to enter the right information on the wrong line. So it pays to go through your return line by line. It’s important that you use the right filing status. If you’re not sure which filing status is right for you, use the interactive tool “What is My Filing Status?” on www.irs.gov. You can also check the IRS website to figure out who you can claim as a dependent. Once you determine who qualifies as your dependent(s), verify that you have checked the appropriate exemption boxes for your personal, spousal and dependency exemptions. If you’re claiming any credits, such as the dependent care credit, you need to follow the instructions carefully. And check that you have completed the necessary forms or schedules. If you’re taking the standard deduction, verify that you are claiming the correct one. You can use the chart in the Form 1040 Instructions or use the interactive tool “How Much is My Standard Deduction?” on www.irs.gov. It’s very easy and common to make simple math errors while preparing your tax return. It’s a good idea to double-check that you’ve added and subtracted all numbers correctly and that you haven’t transposed any numbers. Ensure that you used the right column on the tax table when figuring out your tax. Don’t be in such a rush to finish your return that you forget a few final, simple steps. If you’re filing a paper return, verify that you (and your spouse if it’s a joint return) have signed and dated the return. Attach Copy B of each Form W-2 that you received from your employers. Attach each Form 1099-R that shows federal tax withholding. And attach all other necessary schedules and forms in sequence number order. Make a copy of the return and all attachments for your own records. Use the correct mailing address from your tax form instructions, and include a check or money order if you owe tax. And, finally, check that you put sufficient postage on your envelope. Alimony. Generally, payments are deductible if they were made in cash pursuant to a divorce or separation instrument. Other requirements may apply. As part of the Tax Cuts & Jobs Act, the taxation of alimony will change for divorce or separation agreements entered into after 2018. For these agreements, alimony will no longer be deductible by the payer and will be tax-free to the recipient. Traditional IRA contributions. Contributions of up to $5,500 ($6,500 for individuals age 50 or older) to a traditional individual retirement account (IRA) are potentially deductible on your 2017 return. AGI-based limitations apply if you (or your spouse) are an active participant in an employer-sponsored retirement plan. Moving expenses. Subject to certain requirements, a taxpayer who moves as a result of a change in his or her principal place of work may deduct certain costs of moving and traveling to the new residence. 2017 is the last year this deduction will be allowed–it was eliminated as part of the Tax Cuts & Jobs Act. Health savings account contributions. The 2017 deduction limits are $3,400 for those with self-only coverage under an eligible high-deductible health plan and $6,750 for those with family coverage. An additional $1,000 deduction is available to those 55 and older who are not enrolled in Medicare.